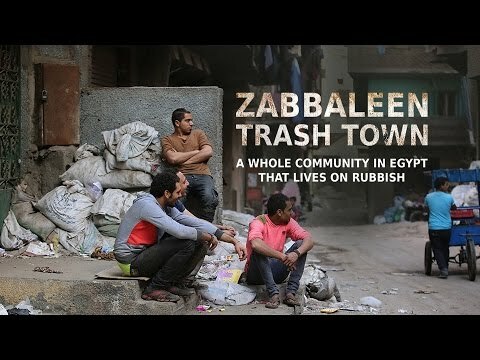 The Garbage people (Zabaleen, زبالين) make up a remarkable Christian community in Cairo, Egypt. They diligently gather and recycle the immense tonnage of solid waste produced by the Arab world’s most populous state. They are also known as Zarraba people because they raise pigs that eat the organic waste. Garbage City Church is located in Garbage City which is at the foot of Moqattam hill (Manshiyat naser) on the Eastern side of Cairo.